S.M. 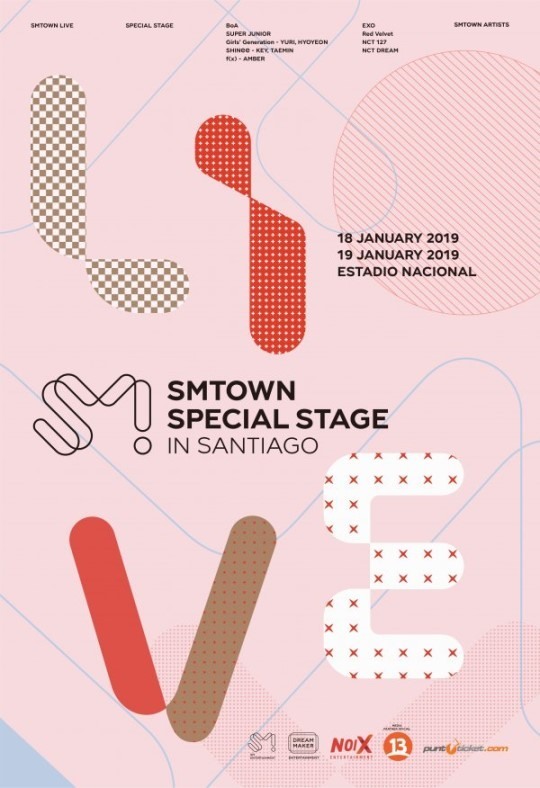 Entertainment will hold its “SMTown Special Stage in Santiago” concerts at Estadio Nacional sports complex in the Chilean city on Jan. 18-19, the first time the agency’s flagship event will take place in South America. Many of the marquee names in the agency including BoA, Super Junior, Girls’ Generation’s Yuri and Hyoyeon, SHINee’s Key and Taemin, EXO, f(x)’s Amber, Red Velvet and NCT are to participate in the event to perform colorful stages for two days. Estadio Nacional, where “SMTown Special Stage in Santiago” will be held, is Chile’s biggest concert hall where global stars like Shakira and Radiohead performed. Yet no K-pop stars have performed in the hall, making S.M. Entertainment artists’ to vie with the global stars.